We have been seeing many rumors about the Galaxy Tab S4 from quite a time and this tablet popped up with thin bezels and the also the home button on the front was missing. This raised many questions on the type of biometric security system will the South Korean Giant implement on this device. Later few more rumors suggest the presence of iris scanner and also face recognition feature. 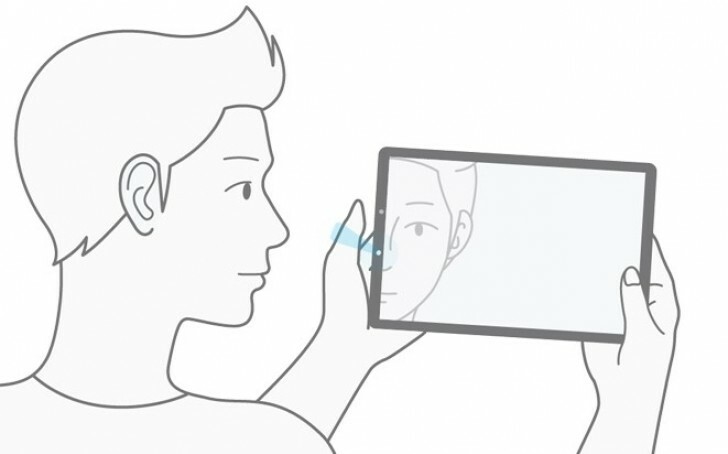 Now, few reports suggest that this Galaxy Tab S4 will come with both the iris scanner and also the face recognition feature to enhance the security levels. This information has been leaked from a firmware video that reveals how these features work. Samsung Galaxy Tab S4 is nearing its launch and expected to be announced at IFA in Berlin. Moreover, it is also expected that the device will be coming with Android 8.1 Oreo operating system with the companies UI on top. It will also be powered by an Exynos 9810 chipset and it might change according to its region of availability. It is also assumed to sport a 10.5-inch touchscreen display and also a lower-tier variant is also expected with cut down specs sheet and similar display size, that could be named Galaxy Tab A2. According to the animation video, the tablet will be having iris scanner as well as face recognition feature which will also be used on Galaxy S9 and Galaxy S9+ smartphones. These features will work simultaneously and the sensor recognizes the face or the irides of the user and unlocks the device accordingly. Moreover, this feature helps the user unlock the device in the dark environment also without having to search for light since the intelligent scanner can switch to an iris scanner when face recognition doesn’t work. Many might be excited to see this tablet or even the Galaxy S9 and S9+ smartphones. Do you own a Galaxy tablet? Comment in the section below if you have any queries on the same and stay tuned to Android Advices for more updates on the same.